Some people are “bad boys” even when they are good! If you think he’s bad or good here, decide for yourself! Charlie Sheen, son of actor Martin Sheen and accomplished TV and movie actor in the US; has thrust himself in the spotlight recently with his public pleas for an unbiased international investigation of the 9-11 attacks. Some of Sheen’s evidence is alleged charges seen on footage of the World Trade Center towers going off seconds before they collapse implying that there could have been an insider hand in the attacks and it was not just a motley crew of Muslim fanatics who pulled off the event. At any rate he has made himself a target from a lot of establishment pundits and media personalities and his is getting flack. Some people out there hail this development as an important move towards truth that has heretofore been suppressed by government officials, and they are cheering. I thought I would take a look at the chart of Charlie Sheen since he is in the news and see if there is anything that the stars have to say about recent events with him. This article will not cover all the aspects of Charlie Sheen’s chart, but some of the points touched off by current cycles. Charlie has had somewhat of a tarnished image over the years with tumultuous marriages and some questionable connections with prostitution and drugs; but he has been very successful in his acting career. In fact Sheen made a “comeback” after hitting some particularly low points in the industry and appears to be on a good track with a successful TV show. There is a strong fiery nature to his constitution with a strong Sun in Leo and a Moon in truth-questing Sagittarius; he is spirited and passionate and likely to find himself in hot water occasionally. 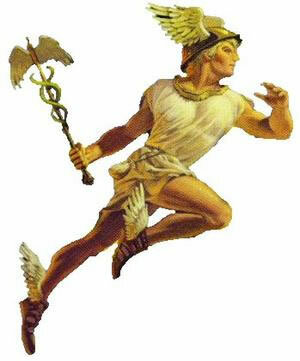 Sheen’s Moon in Sagittarius in the eighth house indicates he would be one who loves the truth enough that he would take it to where it would lead him, even if it puts himself in some kind of mortal danger (some people have said that this recent public outcry of his could put his career in jeopardy). Further yet, Sheen’s Moon is in the tempestuous nakshatra (hidden vedic sign system) of Mula which is ruled by Nirriti the Hindu goddess of death. So it is not a stretch to say here that Charlie has pushed the envelope at times, and likes to “walk the edge.” This of course can be a great asset for someone who needs to be a bold voice in the world. Saturn in the sign of its rulership in the tenth house but retrograde, indicates that he would be ultimately successful in his public life but that his reputation could be soiled in someway, and that he could suffer a “fall” from grace in the public’s eye. Sheen now certainly is suffering the slings and arrows of outrageous fortune with the lashback from his 9-11 messages. Protected, or Headed for Trouble? It is unclear as to whether Sheen will be protected by the hand of fate in this case and not end up with an even more blemished career than ever before since his Saturn has some significant baggage to it (debilitations in both navamsha and dasamsha charts). Right now transiting Uranus is moving right over his Saturn, which would indicate that he’s quite agitated against the status quo or the authorities of our day and he wants to “shake them up” a bit. Charlie Sheen’s troubled relationship world is directly affected by Saturn in the tenth house as it makes direct Vedic tenth-house aspect to his seventh house of marriage and partnerships. The planetary ruler of relationships in his chart, Mars itself; is quite afflicted by being in its sign of debilitation (Libra) and in the sixth house of contention. Having the South Node (Ketu) in the seventh house is no picnic for relationships either. The seventh house is also connected to public perception and career matters (it is the tenth house from the tenth house) and this further emphasizes that he may have an image of being a “bad boy”; but maybe it can only be a “bad boy” that has the courage to stand up against the publics otherwise accepted authority figures. “Bad boys” you see care far less about looking prim and proper and being thought of in less than appreciative ways. Transiting Pluto is now also in direct aspect to his Jupiter in the second house; since the second house is connected to speaking and the words we use, and Pluto is connected to deep and intense actions; it is no wonder now that Sheen is taking aim verbally at corruption in high places (at least corrupt in his own mind). Hopefully Charlie Sheen is not biting off more than he can chew in who and what he talking about; a lot of people in the past have been mysteriously silenced who have been critical of these people (the White House crowd). Looking at the larger Vedic cycles in Charlie Sheen’s life indicates that he entered his current sub-cycle in February 2005, the dasa lord was Venus which is relatively well-dignified in his chart in the fifth house. This would indicate that this time period in his life is on a positive track and that he would be inclined to be involved in government and politics (which the fifth house rules). Then in October 2006 Charlie moves into a six month Sun sub-period (sub-dasa); his Sun natally is very well dignified being close to the house midpoint, in the sign of its rulership and well-dignified in other varga charts. It would seem the period from October 2006 to April 2007 should be rather strong and positive for Charlie Sheen; there could be some turbulence on the home front; but being an older and wiser person for all his experiences in the past he’ll be of the more calmer, magnanimous Leo that he is. He then moves into a potentially contentious Mars major period (maha dasa) from April 2007 to April 2014 which will have some key relationship developments for him, but will certainly let his more aggressive tendencies come out. Again maturity hopefully will temper and channel his energies into constructive endeavors. Some health issues might flare and the possibilities for accidents and injuries is certainly something to be careful of. The upcoming Mars dasa above probably will start out turbulently but by the end will be very productive and positive. Sheen’s Mars forms vipreet raja yoga, which gives great success.